Make yourself at home in one of the 22 air-conditioned rooms featuring refrigerators. Prepare your meals in the shared/communal kitchen. Complimentary wireless Internet access is available to keep you connected. Bathrooms feature bathtubs or showers, bidets, and hair dryers. A stay at Weekly Uehonmachi places you in the heart of Osaka, within a 15-minute walk of Kuromon Ichiba Market and Nipponbashi. 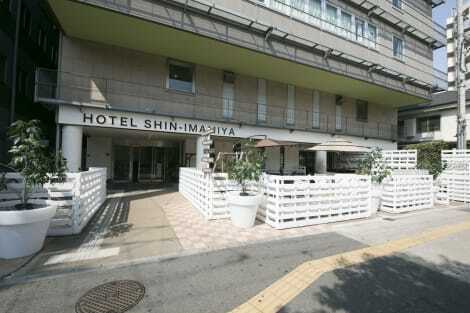 This hotel is 1.4 mi (2.3 km) from Tsutenkaku Tower and 1.5 mi (2.4 km) from Amerikamura. Located in Osaka (Namba), OOKINI RYOKAN & Apartment is within a 10-minute walk of Shinsaibashi Shopping Arcade and Amerikamura. This guesthouse is 0.5 mi (0.8 km) from Kuromon Ichiba Market and 0.7 mi (1.1 km) from Nipponbashi.